India vs Puerto Rico, Mumbai, Sep 3: Since 1955, India hosts the International Friendly Football Match as the first time. India will face Puerto Rico at the Andheri Sports Complex in Mumbai Today on September 03, 2016. Also, one of CONCACAF team will play the international friendly match here in India as First time. According to the FIFA ranking, the Puerto Rico standing at the 114th position and India at 152nd position at the current moment. 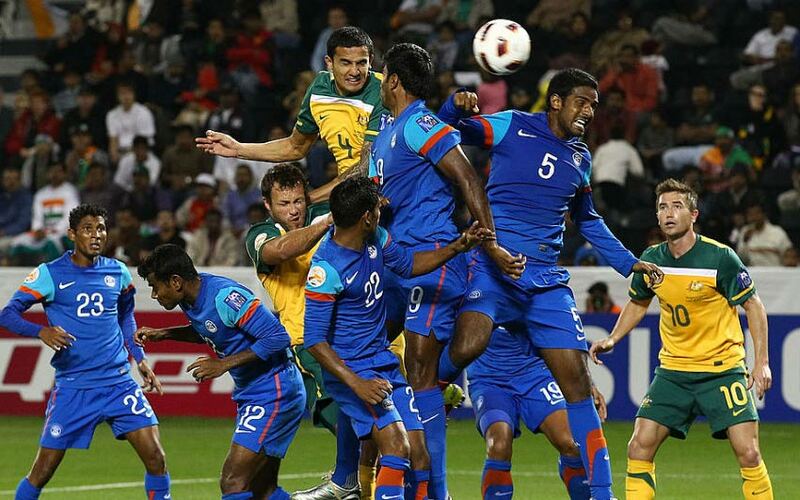 Lastly, the India Football team won the unofficial friendly match in August against Bhutan for 3-0. So, the team India will ready to face today’s opponent at Mumbai. “We are very motivated to play against a side ranked above us. If you want to go higher, it’s important that you play against stronger sides. I would rather lose 4-0 to Iran than win 3-0 against a weaker nation.” he added. India wins their last three matches out of five and Puerto Rico won only one match of its last five. India beats Bhutan (3-0), Laos (6-1), Laos (1-0). And lost their two matches against Turkmenistan (1-2) and Iran (0-4). Puerto Rico lost their matches against the Dominican Republic (0-1), (0-5). And the team won the match against Antigua and Barbuda (2-1). A match ended as a Drew against with Grenada (3-3). Puerto Rico lost their match to the USA in their Home for 1-3. Online Streaming: Hotstar.com and Hotstar Mobile App. Subrata Paul, Gurpreet Singh Sandhu (C), Amrinder Singh, Rino Anto, Sandesh Jhingan, Arnab Mondal, Keegan Pereira, Chinglensana Konsham Singh, Pritam Kotal, Narayan Das, Fulganco Cardozo, Vinit Rai, Eugeneson Lyngdoh, Dhanpal Ganesh, Pronay Halder, Jackichand Singh, Isaac Vanmalsawma, Bikash Jairu, Rowllin Borges, Alwyn George, Germanpreet Singh, Mohammed Rafique, Seityasen Singh, Arjun Tudu, Sunil Chhetri, Udanta Singh, Jeje Lalpekhlua, Sumeet Passi, Halicharan Narzary, Daniel Lalhimpuia. hristofer Alexander Echevarria Del Valle, Johnny Santana Ramirez, Joan Sebastian Morales Feliciano, Juan Gabriel Velez Lago, Emmanuel Alejandro D’Andrea Yepez, Juan Antonio Agustin Coca Nogueras, Marcos Junior Martinez Amaro, Elliot M Velez Lago, Andres Nicolas Cabrero Gomez, Emanuel Miguel Benedetto Sanchez, Micheal Anthony Ramon Ramos, Javier Orlando Lalondriz Fernandez, Alexis Rivera Curet, Jacob Rafael Conde, Karlos Francisco Ferrer Mojica, Jose A Martinez. Share this “India vs Puerto Rico: International Friendly Football Match Live Streaming” update with your Football friend and watch it on 8 p.m. Today at Star Sport.